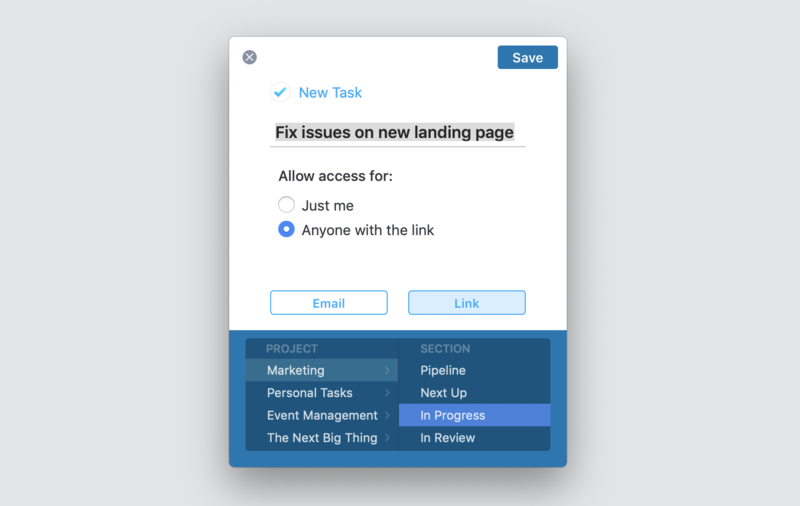 New: Turn Emails from Spark into MeisterTask Tasks! 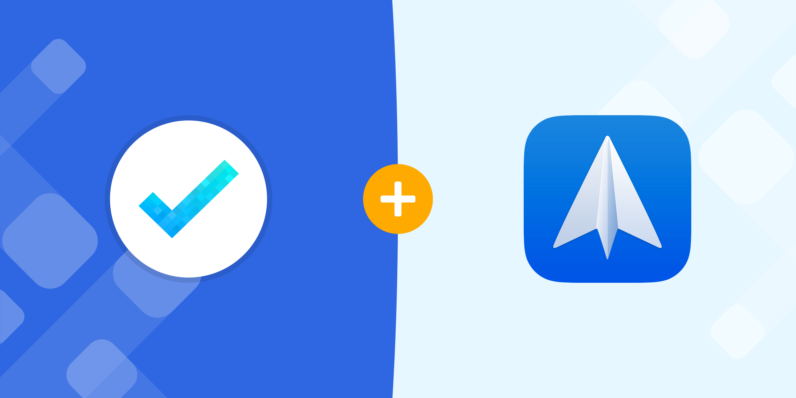 MeisterTask now integrates with Spark, the revolutionary email app for Mac and iOS that enables teams to work together on emails in real-time. 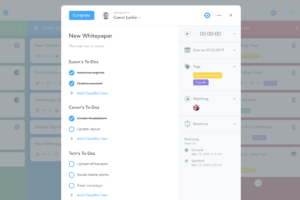 Connect your accounts now to turn your Spark emails into MeisterTask tasks at the click of a button! 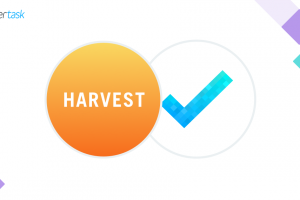 If you’re anything like us, then a large number of your tasks originate in your inbox. In fact, aside from informational emails such as newsletters and notification roundups, we’d argue that most emails are actually tasks in disguise. Whether it’s your boss asking you to look into a business opportunity, or a partner suggesting a new collaboration — most messages you receive require you to perform an action other than simply hitting the reply button. While you may be able to take care of small requests right away (#2MinuteRule), having a good system to deal with larger tasks is essential to ensure that you don’t lose track of what needs to be done. 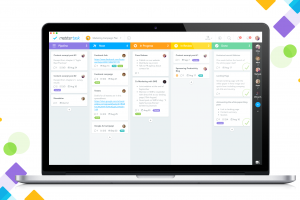 The new integration between Spark and MeisterTask provides you with a seamless workflow to turn your emails into tasks and insert them directly into your shared project boards, where you can prioritize them, collaborate on them with your team, and complete them efficiently. Exporting an email from Spark to MeisterTask takes only seconds once the two apps are connected (scroll down to see instructions on how to connect). With the email open, all you have to do is click More (…) at the top of the Spark window and then select MeisterTask from the list of connected services. Tip: Users of Spark’s premium plan can even use a custom keyboard shortcut to export emails to MeisterTask without taking their hands off the keyboard! Spark provides different export options for you to choose from, but is smart enough to remember them, so you don’t have to set everything up from scratch each time you want to export. Option 1: Select Email to add the email’s content in the task description field. Option 2: Select Link to add a secure link to the task that opens the entire email thread in a new browser tab. This way, all your collaborators in MeisterTask can review the entire conversation — even if they don’t have a Spark account themselves. If you’re not already using Spark, the first thing you need to do is download it from the Mac App Store if you’re working on an Apple computer, or the iOS Store if you want to use the app on your iPhone or iPad. Note: Spark is free to use, but upgrading to its Premium plan adds more collaborators, team roles, and other useful features to bring your email productivity to the next level. 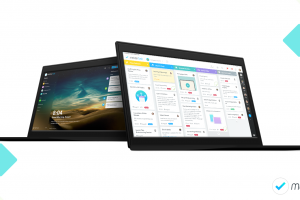 Spark works with Google, Exchange, Yahoo, iCloud, Outlook, Kerio Connect, and other IMAP email accounts. 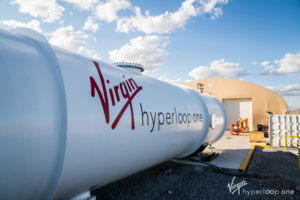 Follow the instructions outlined in Spark’s help article to connect your email account with Spark. Open Spark’s Preferences menu and navigate to the Services tab. 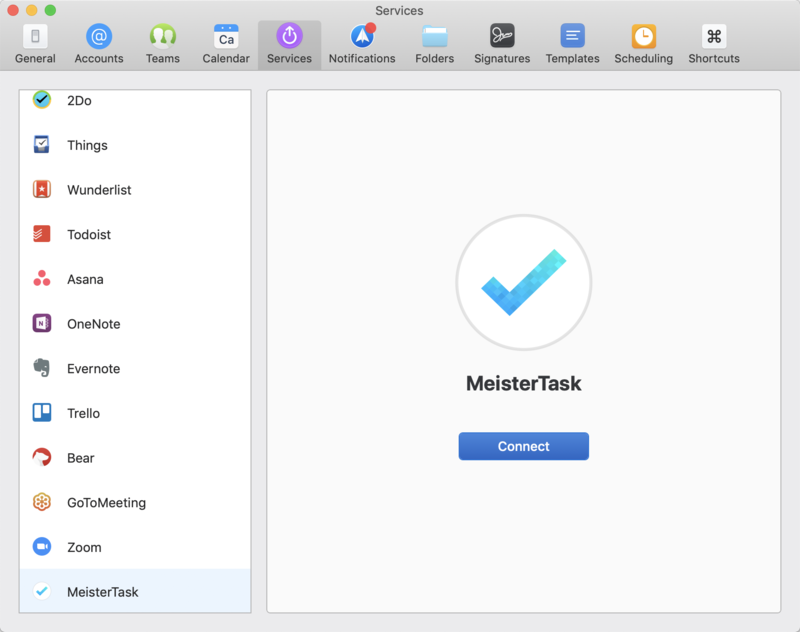 Select MeisterTask from the list of services and click Connect. Follow the instructions in the window to connect with MeisterTask. That’s it! 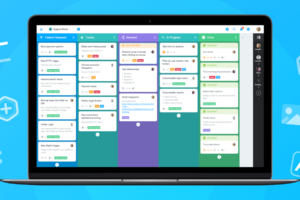 From now on, exporting your emails as tasks is only a click away. Download Spark now to get started!